Create a strong bond between layers of fabric without adding weight or stiffness to a project. Once applied, Fusi-Bond is easy to sew, making it ideal for multi-layer appliques in quilting, home decor, and wearables. 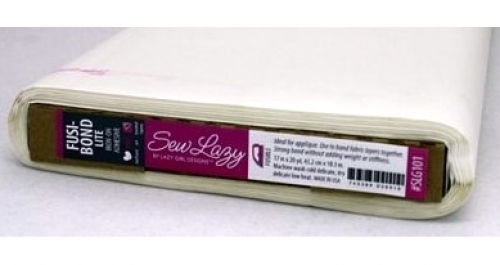 Paper backed fusible web for a wrinkle-free application. Can be stitched without leaving adhesive residue on the sewing machine needle. Fusible adhesive web. 17 inches wide. Sold by the yard.